In today’s world where logic is king, it can be tricky to know how to trust your intuition. Even if you WANT to use your intuition more, the daily hustle and bustle of life can make it hard to feel any sort of spiritual guidance. Ballet at 4. Supper at 7. Homework. Kids baths. Did anybody feed the pet turtle? These are just two of the endless questions your intuition can help you investigate… and then help you make the changes necessary so that you can answer a hearty and clear, “Yes!” to both. 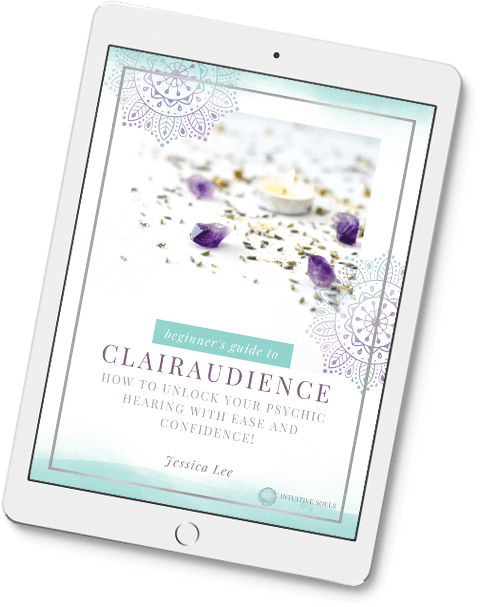 Learning how to trust your intuition can help with the “little” things in life AND the big stuff – like how to live a more super awesome life filled with so much joy that you want to dance in the streets. With everything we have to do each day, it’s no wonder that more and more people are beginning to feel like Bill Murray in the movie Groundhog Day – waking up and doing the same old thing every day, but not knowing how to make things different. So how do you get “unstuck” and feel more Divinely guided? The key to trusting your intuition is to listen LESS to your brain, and MORE to your heart. To have a connection with the soul, which speaks to us via our INTUITION. Your intuition is like a GPS for your life! Our intuition is the way our Higher Self (soul) “speaks” to us. It can help guide us along our chosen journey to happiness and fulfillment. It’s that “still, small voice”. It’s your soul guiding you. When we learn to listen and trust our intuition, it’s kinda like a cool super power that can help us lead a more fulfilling life. Even though intuition is SUPERB and always serves your best good, it can feel SO hard to trust it – especially at first. But so what? Making a lasagna completely from scratch that tastes like it was made by an Italian Grandma is “wicked hard” (as they say in Boston) at first, too. But if you practice making enough lasagnas, you WILL master it. Read: Where Does Intuition Come From? Believe it or not, intuition is not some weird or woo-woo thing. Being intuitive is our NATURAL state. We all have intuition – you, me, the gal that pours your coffee at Starbucks, and even your pet cat. Problem is: We don’t always listen. But it’s not really our fault – we’ve been conditioned by society to trust logic and not put too much emphasis on what we feel or sense. When you start following the tips below, you’ll start to feel a little less “pinched off” from your intuitive guidance. And slowly but surely, you’ll start becoming more aware of your intuition and begin to trust it. Yay! Remember that learning how to trust your intuition takes practice. Have patience with yourself – and have fun! Stop. Yes, stop. Make space for quiet time and reflection. I know it’s hard. You need to make dinner. Or study. The kids spilled their lasagna on your new rug. I KNOW. But this is important. This is your joy we’re talking about here. This is about you feeling Divinely supported. And like they say, If mama ain’t happy, ain’t nobody happy. The first step towards learning how to trust your intuition is to let your brain rest and tune into your heart. What do you FEEL you want to be doing? Why? Should you take that new job? Shut your brain off. How does it feel in your SOUL? We are soooo programmed to always be doing. But doing and spinning in circles is not the same as taking INSPIRED action. If you feel you are spinning in circles, it’s a good clue that you are trying to do it all on your own, and not letting your intuition/Higher Self guide you. I went through this recently and when I finally stopped fighting and slowed down for a few days, the decision that I needed to make about something became clear. The next day, I took INSPIRED action. It felt like a hundred bricks had been lifted off of me! Think less. Feel more. Tricky, I know. But as you stop doing and start being more, it gets easier. Spend time in nature, taking in the beauty of the earth. Take time to appreciate the quiet and peace. Trusting your intuition is MUCH easier when we allow our minds to quiet. Nature can help us more easily connect with our hearts and instincts. Sit outside or go for a walk in the park. Go wild – hug a tree! When we our connected to ourselves in the here and now, our intuition will speak to us and we will be able to hear it. I can’t tell you how many times I’ve been having a fun chat with my mom about Dancing with the Stars and allowed my mind to race about all the stuff that I SHOULD be doing instead of ENJOYING our conversation. I hate that! All of that mind “clutter” robs us of joy. Live in the present moment by practicing “catching yourself” when you are thinking too much about what you should be doing, or focusing too much on the past, or worrying incessantly about the future. Instead of being distracted about your day, be fully present as you read a bedtime story to your child or cook dinner. Learning how to trust your intuition becomes easier when we live in the present because it allows us to “hear” our intuition easier. Meditate by simply focusing on your breath, bringing your mind back to your breath whenever you notice it has started thinking again. And it will…that’s what our minds do. One of the most FUN ways to learn how to trust your intuition is to be creative! Even if you don’t think you’re creative, I’d bet you can be! Sometimes, our rational minds don’t “do” creativity because it’s seen as inferior to logic and reason. But tapping into your creative side is one way of opening up to your whole Essence. When you are being creative, you encourage the non-logical aspect of your Soul to open to the things your rational mind can’t even fathom! Have you ever felt SO inspired or passionate about something? Like you just HAVE to to paint your dining room green or feel SO excited about signing up for yoga. Inspiration is one way your intuition speaks to you. One of the EASIEST ways to learn how to trust your intuition is to follow your inspired feelings. Does it light you up when you think about starting a blog? Do it! Does the thought of volunteering at the local food pantry make your heart sing? Whatcha waitin’ for? Dream of traveling to Italy? Feed that passion – buy an Italian cookbook or learn to speak Italian! Remember, our intuition wants to guide us to our Highest Good—that place where we will be happy, and peacefully open to the wonders of life. We are all energetic, spiritual beings that “vibrate” at certain frequencies. When your vibration is high, you feel happy. Saying “raise your vibration” is like a fancy way of saying do what makes you happy. Raising your vibration makes it easier to tune into what your intuition is telling you and allow inspired ideas and solutions to come to you! All the tips in this post will help you raise your vibration. Spend time doing what brings you joy—the thing you do when you lose track of time. Listen to music, dance, pet your dog, dance with your dog! When you are first learning how to trust your intuition, it can seem like you’ll never figure it out. Is this my intuition? Is this my mind? Ugh! Forget it, I’m just going to ask my sister what I should do! Start small. Need to buy a gift for a wedding shower? Ask your intuition for some guidance. That’s a small step. Once you begin trusting and noticing how good it feels, your confidence in your intuition will build, and you’ll use it every day in every decision you make!